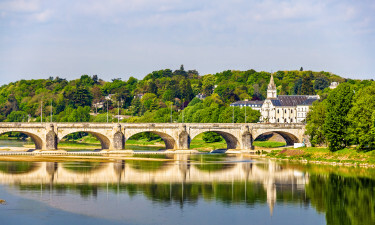 With its pretty, rolling countryside, temperate climate, and lots to see and do, the Loire is a wonderful place for a family camping holiday. For more information on luxury camping in the Loire, contact Lux-Camp. The Loire region is named after the Loire river, the longest in France, which flows from the Massif Central to the Atlantic Ocean. It is famous for its wines, produced along the river banks, where the soil and climate are favourable. This area was once a favourite holiday spot for French royalty and nobility, for whom the elaborate and beautiful castles for which the Loire is known were built. Why choose a holiday camping site in the Loire? Des Alicourts Resort is a luxury camping site near Orléans. Close to a lake with its own beach, this holiday camping site also has its own indoor and outdoor pool, as well as children's play areas, golfing, and sports facilities. Amboise is a place where you can stay in a luxury tent, bungalow tent or mobile home near the quaint market town of Amboise to enjoy the pleasures of the countryside conveniently close to shops and restaurants. Loire-Anjou-Touraine Regional Natural Park gets you close to nature in this protected region, which is also close to the wine route. Whether you're into kayaking, cycling, or fishing, a family holiday camping site or a luxury camping site lets you stay close to the action. The central Loire Valley is a designated World Heritage Site, while the river and its banks teem with wildlife. Ride the cycle trails along the river banks, or take a boat trip, for a chance to see birds, animals, and fish. There are wide, sandy beaches for paddling or picnicking. 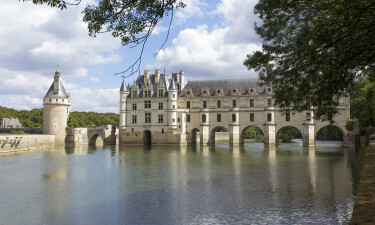 The most famous attractions in the Loire are its castles, from the small, like Chinon, to the imposing, like Chenonceau, spanning the Cher river, or Chambord. Tintin fans will appreciate Cheverny, the model for Marlinspike Hall. There are many fine gardens to visit, as well as museums and zoos. 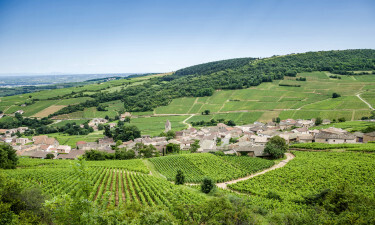 Touraine, the heart of the Loire, is known as 'the garden of France' for its rich soil. Fruit and vegetables grow here in abundance, including artichokes and asparagus. The Loire is also wine country, producing many famous varieties like Muscadet and Pouilly-Fumé. Fish is an important part of the local cuisine, as you would expect. You will also find goats' cheese, dried pears, and traditionally made sausages and pâtés. Touring a winery or visiting a market is a great way to taste and buy products from the region.